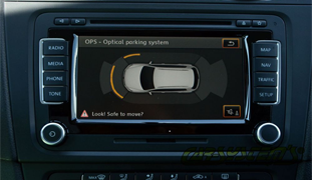 Prednji parking senzor – Front parking system assistant with 4 flush sensors (16 mm) of silver colour and buzzer. New design, original look! Antihook function for cars with tow-bar, spare wheel. 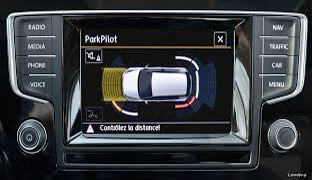 With automatic identification of faulty sensors and the possibility of adding LED display. The unit is for vehicles with 12V DC only. Zadnji parking senzor – Uređaj se odlikuje vrhunskim dizajnom i preciznošću detekcije unutar zone od 150-30cm, komplet sadrži centralnu jedinicu sa 4 ili 2 senzora i kompletno ožićenje za ugradnju na svaki automobil. 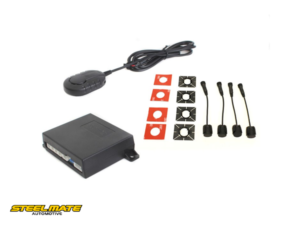 Zadnji parking senzor – Parking assistant Steelmate with 4 internal flush sensors with a diameter of 16 mm and acoustic signalisation, intended for installation in the rear bumper. 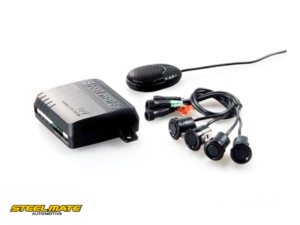 The system includes AntiHook (ignoring the tow bar of the vehicle), automatic identification of the defective sensor and is also improved by new features of sensitivity settings, learning function, buzzer with adjustable volume and frequency switch on it. Parking assistant can be equipped with LED display. 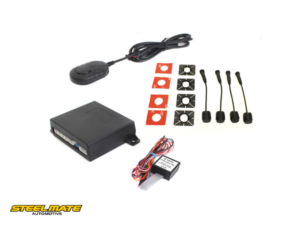 Set includes 4 pieces of parking sensors, a control unit, buzzer and wiring. Supply voltage 12V. Zadnji parking senzor – Parking assistant uses original display of VW group cars, designed for rear bumper instalation. 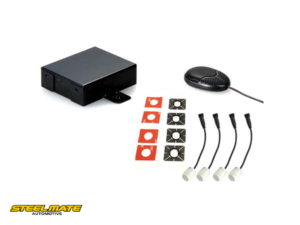 The system contains Antihook function and autodetection of faulty sensor. 4 flush sensors 16mm in the package.